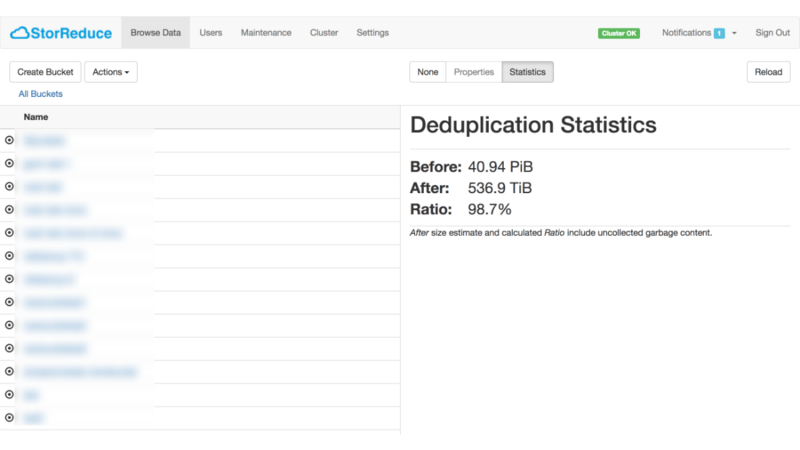 Replace legacy backup storage like Data Domain & tape with StorReduce's scale-out deduplication software plus massively scalable object storage. Save up to 80%. Before StorReduce, primary backups stored with Purpose Built Backup Appliances (PBBAs) like Data Domains were expensive, left data in silos and limited recovery speeds. StorReduce provides a faster, cheaper and cloud-first solution that enables primary backups to be saved in both private and public object stores. Optimized for scalability, high throughput, and low latency at petabyte-scale, StorReduce can help you save 80% on costs whilst ensuring recoverability and utility of your data both on-premises and cloud via standard cloud APIs. StorReduce works with all leading backup software such as Veritas NetBackup, Commvault and Veeam. StorReduce's scale-out, single namespace deduplication software enables PBs of primary and secondary backups to be sent to cloud, saving up to 80% over traditional disk-based appliances and tape. StorReduce deduplicates and stores your data in a single global namespace on cloud, removing the data silos and single points of potential data loss created by expensive disk-based appliances. StorReduce makes it possible to gain valuable insights from your data using cloud-based tools such as IBM Watson and ElasticSearch. All data in StorReduce is available via our cloud-native S3 API. 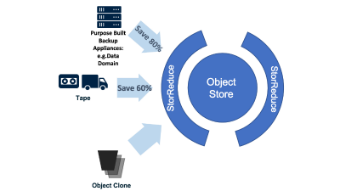 StorReduce's Object Clone lets every developer or researcher work on a complete and isolated set of data and protects against accidental or malicious deletion with virtually no storage overhead. StorReduce's unique scale-out architecture enables multiple servers to be used to deduplicate and rehydrate data at massive speeds (10's of GB/s). 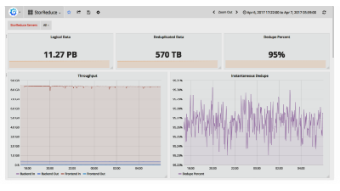 StorReduce can manage hundreds of petabytes of data.